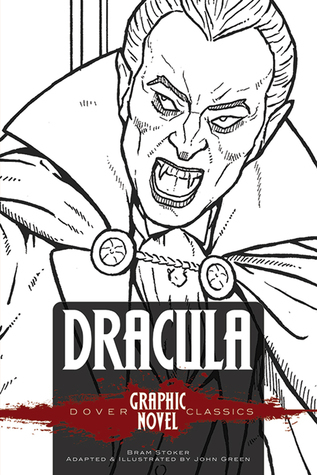 Dover's adaptation of the classic novel Dracula is an entertaining child-friendly graphic novel. The story is shortened to a length of about 50 pages. In this book, we follow the unholy abomination that is the undead Count Dracula as he goes about wreaking havoc and sucking blood. The story isn't too graphic at all, so it's child friendly. Personally I felt the story could have been better, I felt that a lot was cut out from the story so some places seemed a bit non-sequential. I've read a few of Dover Classics Graphic Novels and I found this one wasn't as strong. Overall, it was descent, especially since the target audience is children; so I say read.